Veteran Washington Post reporter and award-winning writer Eugene L. Meyer directs a tour across the a oeFree Statea that is part love letter, part oral history, part obituary. 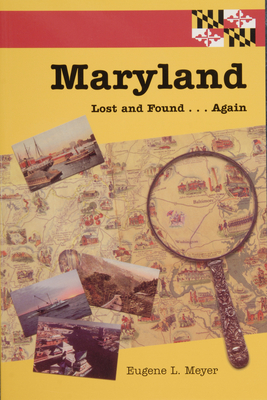 He explores what makes Maryland special, the people who make it unique, and the places and livelihoods that have vanished over the years. The whole of the American experience is found within or close to the state's borders and between the covers of this book--megalopolis, Appalachia, the Chesapeake Bay, the Deep South, the industrial North, rich farmland, a major port, the nation's capital, the primary car and rail routes carrying East Coast interstate traffic. Maryland Lost and Found Again transcends the state to comment on the American landscape.